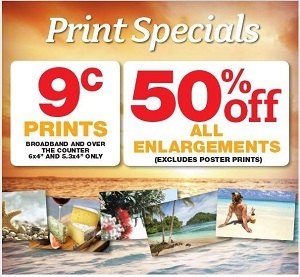 Today we start the year off right with the first photo printing special, and its out awesome 9c 4x6 prints and 50% off enlargement specials! The promo runs until Jan 24th, with delivery 2-3 working days from ordering. Bring your Memory card or USB stick to Musselburgh Pharmacy and send the images off using our in store kiosk. No Minimum or Maximum quantities to get the 9c price.